Stephen Romer was born in Hertfordshire in 1957 and read English at Cambridge. Since 1981 he has lived in France, where he is Maître de Conférences at Tours University. He has held Visiting Fellowships at Oxford and Cambridge and has taught in the US. He has published four full collections, including Yellow Studio (2008), shortlisted for the T.S. Eliot Prize. 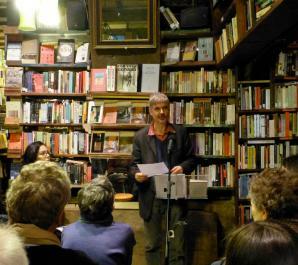 He translates widely from the French, and has edited the Faber anthology Twentieth-Century French Poems. 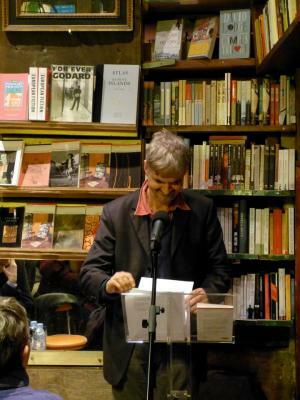 Recently he has published translations of Yves Bonnefoy’s The Arrière-pays (2012) and an anthology French Decadent Tales (2013). His poetry is described in the British Council Writers Directory and in Poetry International, and he has recorded a selection for the Poetry Archive. He was elected FRSL in 2011.